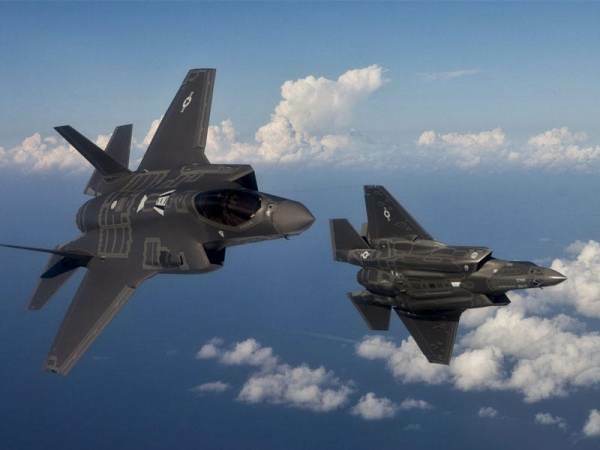 Israeli Stealth Fighters Fly Over Iran Undetected – Coercion Code – "Dark Times are upon us"
Two Israeli fighters reportedly flew over Iran undetected this past month. The Kuwaiti paper Aljarida reported this on Thursday. In a move that reflects regional tensions and comes in the midst of information about a plan for a US and Israeli military strike in Syria that will include Iranian positions there or possibly infect Iran itself, Al-Jarida learned from an informed source that two highly advanced F35 fighter jets Iran this month. The source said that the fighters crossed Syrian airspace into Iraqi airspace, including to Iran, where they carried out reconnaissance missions and targets in the areas of Bandar Abbas, Isfahan and Shiraz, flying at a high altitude over other sites suspected of its relationship with Iran’s nuclear program on the Gulf coast. He pointed out that the two F35 (stealth) aircraft exceeded all radars in the region, including the Russian radars installed in Syria, but refused to disclose whether the operation in coordination with the American side, knowing that Israel and the United States carried out this month exercises cobra Jr.. The seven F35 fighter jets that have entered service in Israel, some of which have recently carried out air strikes in Syria and on the Lebanese-Syrian border, can fly nonstop twice a day in each direction from Israel to Iran.